The beauty of farming is that there are many avenues to make money, though you have to work extremely hard to get it. I have a silly dream of having all of my business commerce happen here on the farm. Not that I am necessarily a hermit, I just never like leaving my property because it’s where I always want to be. That dream is many years off, so for now I go where the money is. 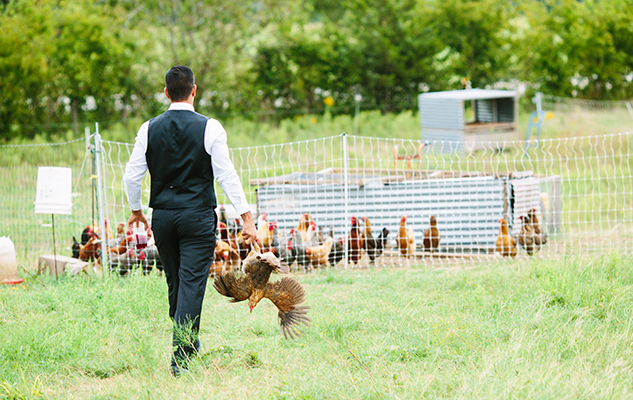 In my first year of farming, I tested the waters with a small community supported agriculture (CSA), began going to the farmers’ market in our small town, dabbled in “on-farm” sales of poultry and produce, and held a successful wedding on our property. CSAs are consistent moneymakers. Most folks love having things delivered to them—just look at Amazon’s success. My CSA is like a farm-fresh Christmas every week, and I’m the tan, sun-kissed Santa who delivers the presents. My small CSA fluctuates between five and 10 people. Really it shouldn’t fluctuate, but I’m still working out the kinks. The demand is there, and at times I wish I could fulfill everyone’s orders, but I only have what natures gives me. I have come to the realization that I have to expand my garden plot to well over an acre of production. The half-acre I have now is capable of producing hundreds of pounds of fruits and vegetables throughout the year, but it just isn’t enough. And the prospect of using my tractor to get new areas prepped is exciting, especially for someone who has done everything by hand until now. While I’ve enjoyed working at my local farmers’ market, unfortunately the town we reside in is rural, and average incomes aren’t very high. While I enjoy meeting the townspeople and tourist who frequent the “BBQ Capital of the World,” we lack the support necessary to have successful outings at the market. I’ve begun scoping out other markets, and I’m always impressed with the amount of patrons they have. My new market is going to be in San Marcos, the “fastest growing city in America.” Dues and setup fees are 100 percent more expensive than my current market, which is free, but it’s a small price to pay to move my produce. When I first began farming, I wanted to be like Joel Salatin and raise birds continuously in staggered rounds throughout the year. But after I’ve processed the birds and sold them and the chore of meeting their daily needs is over, I’ve found it difficult to jump right back in and buy more birds. Those plump, white chickens taste great, but finding people who will pay for more expensive chicken can be a challenge when the grocery store sells them so cheap. Generally I try to sell people on the amount of work I do to care for the chickens and the great life I provide for them within the pastured poultry model, both of which cannot be denied. In addition to chicken sales, I have customers who frequent the farm to pick up other items they’ve pre-ordered, such as eggs and produce. On-farm sales are my favorite way to make money—people come to the direct source of their food, and they know exactly where on this entire planet their food comes from, and that’s what I feel we should all strive for. 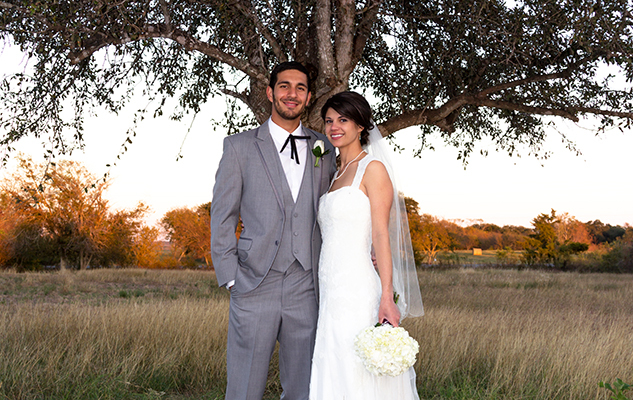 The next big thing will be marketing my farm as a wedding venue. I think I’m about a year away from this idea coming to fruition. 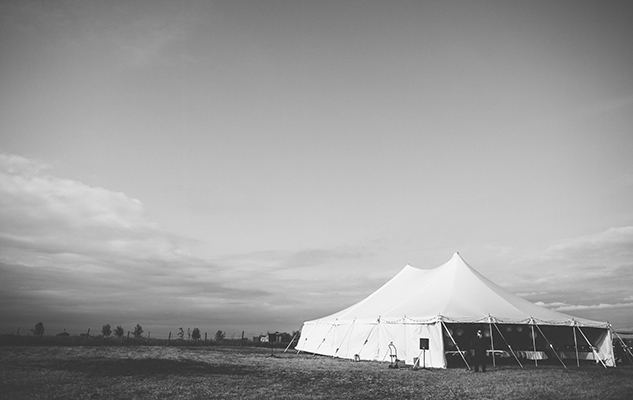 We have held two very special weddings on our property so far, and both events showed me the potential that exists in utilizing the farm’s beauty. But there are many barriers and obstacles to overcome. I want to build a large barn to hold the weddings, clear the area of mesquite trees, and dig a pond, all of which are neither cheap nor easy. Investing in the materials to build the barn that I see in my head is something I’m still running numbers on while keeping an eye out for deals. The good news is, everything I’ve dreamed up so far has become reality, so I’m trying to be patient with this next endeavor.